Can you add rules to pictures, like show a field when you click at the picture? That is not possible as for the moment. However, that seems to be a nice feature to implement to. Let me forward this to our devs, if they find this feasible to do it, it will be implemented soon. Searching deeper, you can add a link to an image, and even set the Target as shown in the image. However if this suggestion does not meet your requirement, then I'll definitely need to forward this to our developers. It is not possible cause a photo does not have a name, like a checkbox, that shows up in the 'rules' so I can't give interactions like SHOW or HIDE. So if it wil developed the only thing we need is to show the name of the photo in the list with tools. 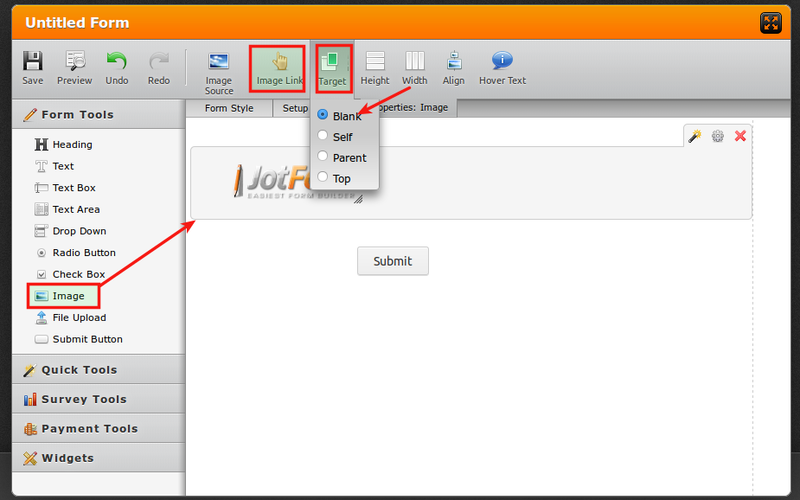 How about switching the two, use a field (checkbox or radio or dropdown) then list down the name of the photos there. Based on the selected photo name, show the image to the form. This should work. Your thoughts? Sure it will work but i want that the user can click at the photo and then open a field. I now have now put checkboxes under the pictures but that is not beautiful. For example take a look at my form (Set the language to English). Can you please show the pictures name in the rules? 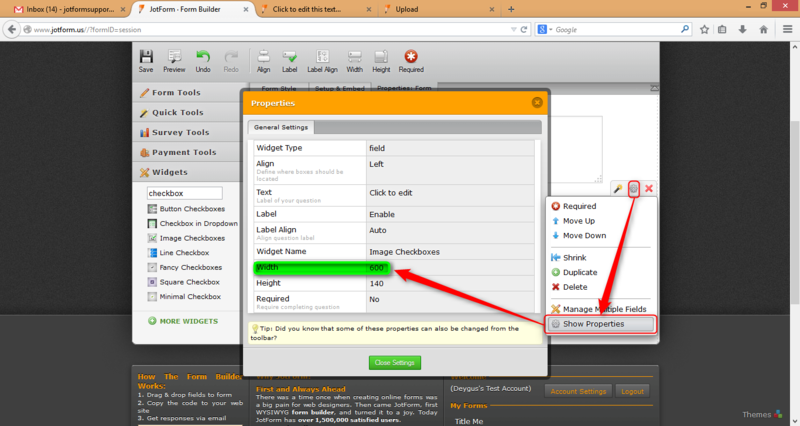 You can use the image checkbox widget in this case so that your checkbox contains image and you can add a condition. Also, I forgot to add that there is a radio button image widget. Since checkbox allows you to select multiple, with radio buttons you can only have one selection. 2. I want the picture is a line (like i did in my form). 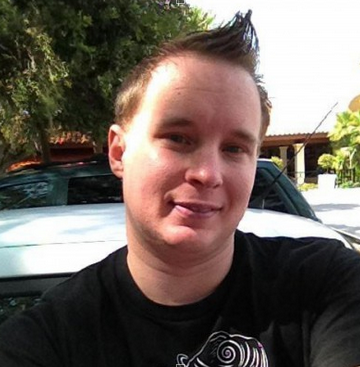 Is that passible or is it easier to intergrade pictures in the rules? I think you are referring to a picture size of 45px by 45px if I am correct? 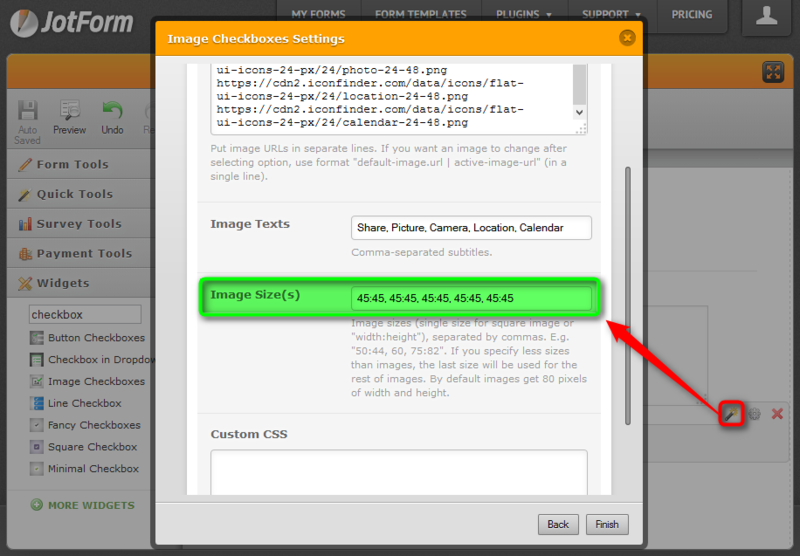 For the Image Checkbox Widget you can actually adjust the Image Sizes in the widgets wizard tool. As for your pictures all on the same line just make your widget field wider. Yes, that looks pretty nice. 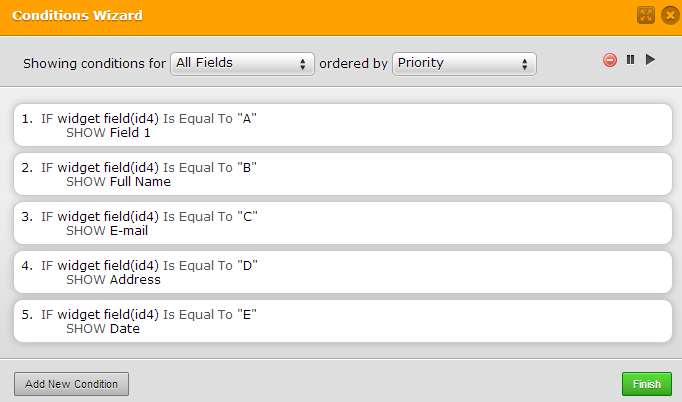 I did it but now I can't find out where you can hide/show fields like 'jedcadorna' did :'( Can someone explain that? And is it possible by CSS to delete the 'circle' by every picture from the widget? I don't like that. 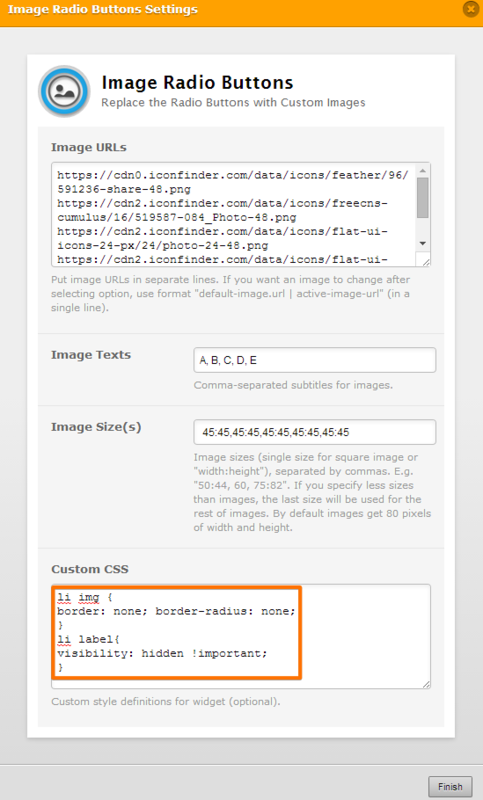 To add condition just click on the condition button and choose "Show / Hide a form field". 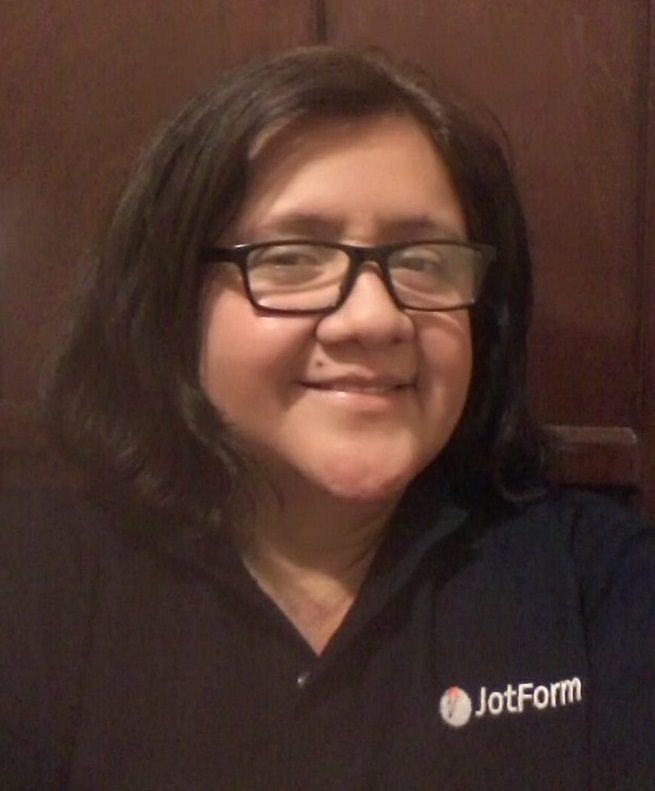 You can test this form http://form.jotformpro.com/form/42051858076962.